Hi everyone! I'm doing a little guest design work for Top Dog Dies today. 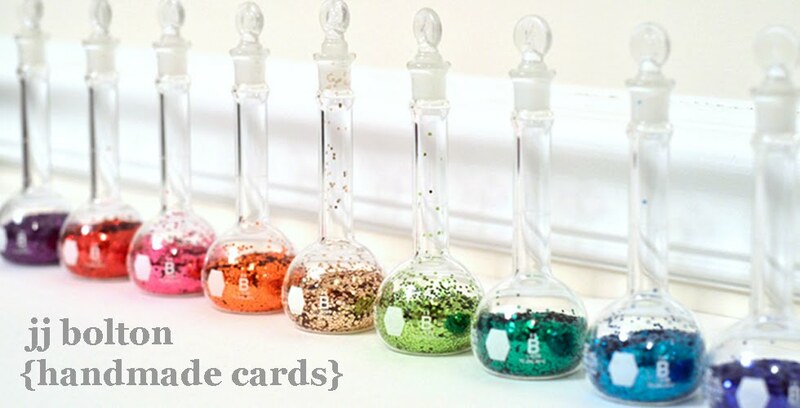 Top Dog Dies is a new online store that offers their own brand of wafer-thin and steel-rule dies, along with dies from brands you already know and trust, including My Favorite Things, Sizzix, Savvy Stamps and Cheery Lynn Designs. Top Dog Dies is also the leading U.S. retailer for Tattered Lace, a new line of intricate dies designed by U.K. designer Stephanie Weightman. Today, I wanted to share some quick and easy using the Top Dog Dies exclusives, Snowflake Trio Die Set and and the Ornament & Tag #2 Die Set! Let's get started shall we? The first card took me all of 5 minutes! I die cut a large snowflake from blue glitter paper, threaded gold string through the holes of the snowflake, and tied it to the card. It could not have been easier. The beautiful snowflake takes center stage on this one! Look at the detail on this die! So intricate! 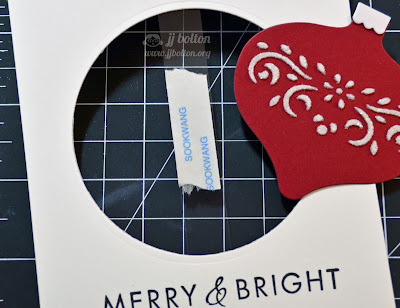 My second project is a simple tag using the ornament die and the small snowflake. If you look closely, you'll see that the small snowflake is actually inlaid into the ornament die cut. 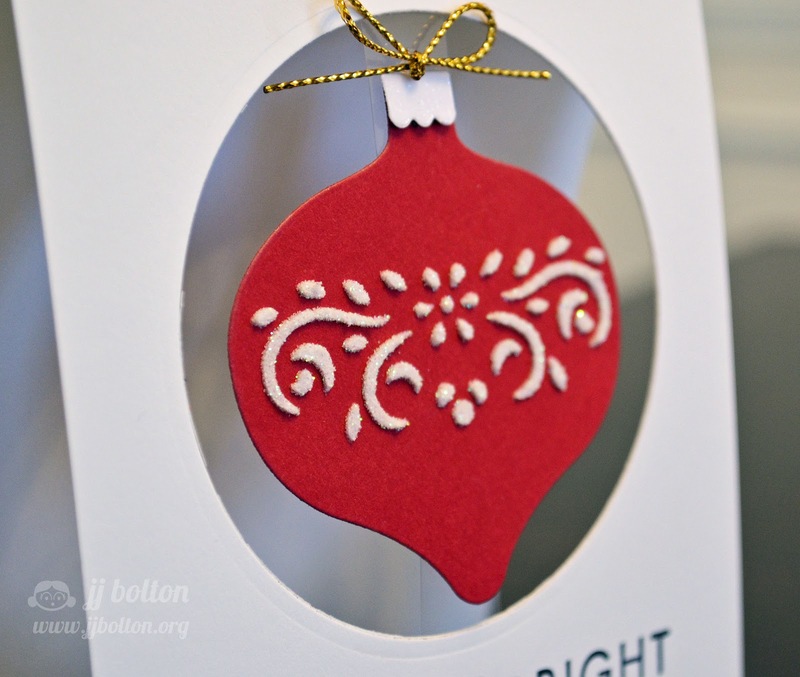 For the snowflake, I kept all the pieces together which gives it more of an embossed look. 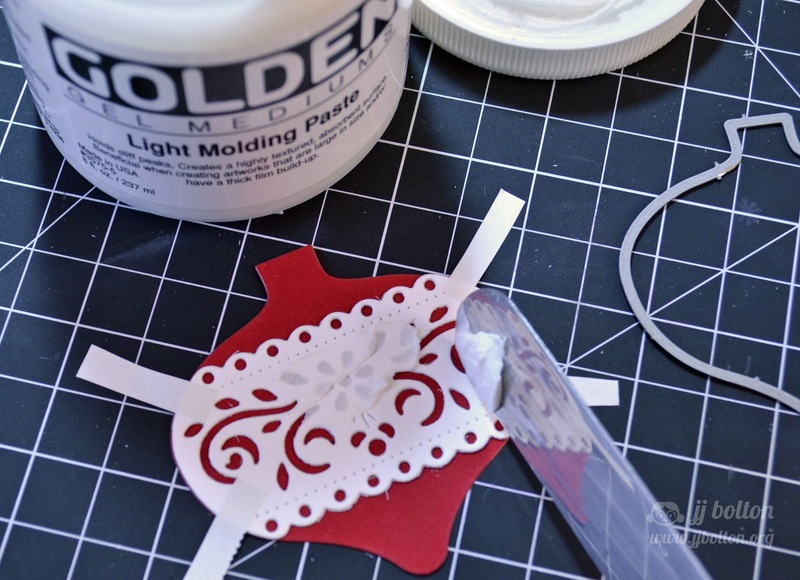 This technique works especially well with metallic paper. For my third card, I used the die cut and the reverse cut together. 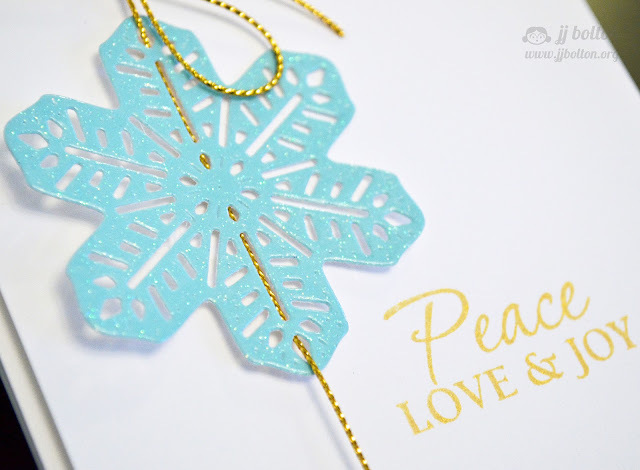 I die cut a medium snowflake and backed the reverse cut with silvery glitter paper. Then I put the positive cut back into place, but with the arms curled up to reveal more of the glitter. 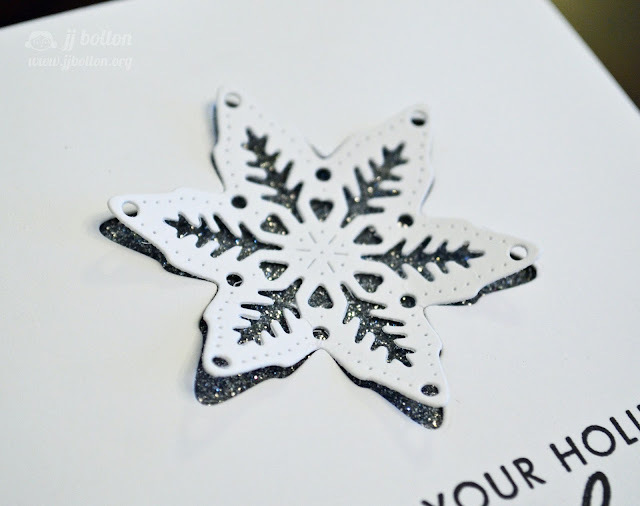 The glitter backing really shows off the beauty of the detailed snowflake design. 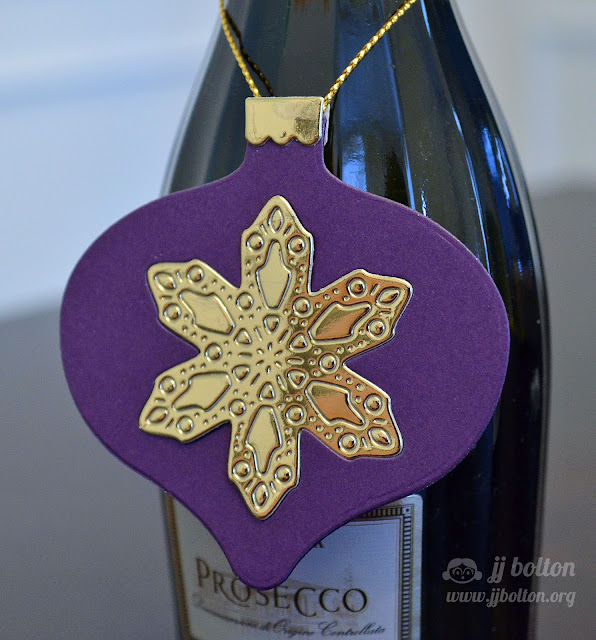 Last but not least, I used the ornament overlay die cut from the Ornament & Tag #2 Die Set as a stencil to create a 3D effect with molding paste and glitter. The effect is really stunning! I put down the stencil and used an offset spatula (the kind you use to ice cakes) to lay on the paste. After I pulled off the stencil, I sprinkled it with glitter and let dry. To keep the ornament the focal point, it's attached to the card with strip of clear acetate which make it look like it's floating in the open aperture. Now I know that you may be done with your holiday cards, but all the techniques I used today can be used with any detailed die. Thanks to Meagan and Top Dog Dies for letting me have fun with their wonderful dies! It's been a real pleasure working with their beautiful designs! The folks at Top Dog Dies are also having a giveaway! Just go the link above (click on the graphic or click here) to register on this page to be eligible for the giveaway, but they can get extra entries by both commenting on your blog post and following us on our Facebook, Pinterest, Twitter and Instagram accounts. Top Dog Dies is also offering a discount for my blog readers. Just use the code "MERRY" at checkout to receive a 10% discount on any purchase of $50 or more (good until 12/24). Treat yourself this Christmas;) Thank you so much for visiting today! Way to rock the dies JJ!!! These creations look fabulous JJ. More stuff to add to my wish list. I esp. like the ornament. LOVE the raised detail with glitter on the red bulb, cool technique! Gorgeous projects, JJ! Thanks so much for the step by step on each one...especially the ornament! Also, thank you for the link and the coupon code! Wow JJ you did an awesome job with the dies!! 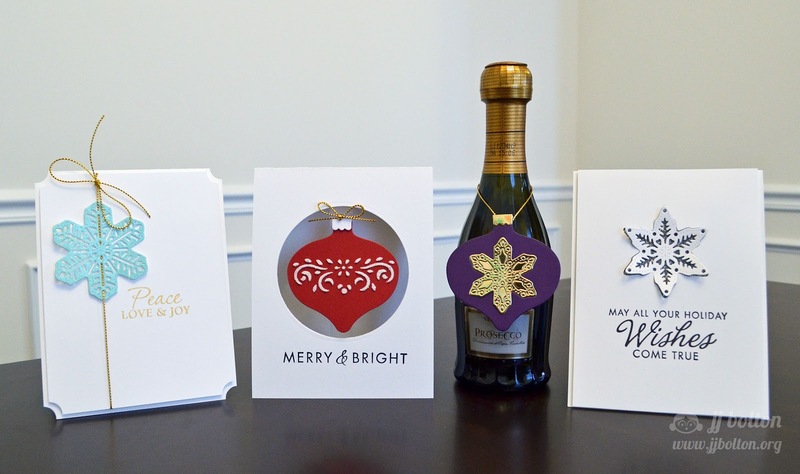 Such a great idea for a simple card on your first one. Also, that purple and gold inlaid ornament is stunning! Love these, JJ! Beautiful creations with these dies!